Measure the traffic of your Google website in real-time. AddFreeStats Analytics offers the most advanced and accurate tool for tracking your website visitors. 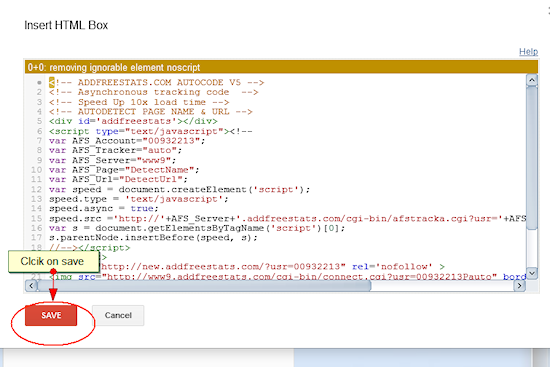 Easy to install on your Google site, AddFreeStats tool will help you to attract visitors to your website . Using this free website statistics service requires a simple sign up. Speed up your Google website load times. Below is a step by step guide on how you can integrate the tool to your Google site. 2)	Secondly, copy the code provided in the Addfreestats account. 3)	Log into your Google sites account to access your websites. 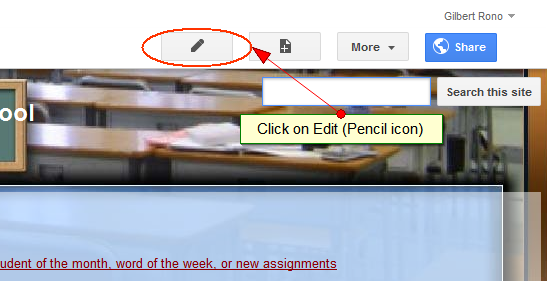 4)	Select the "Edit" button on top which is represented by a pencil icon. 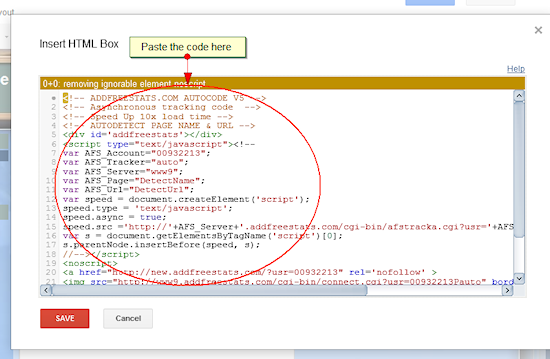 5)	Next you need to go to "Insert" and then select the "HTML Box ". This should open up a description box. After saving the code, a new element appears on the screen and it is labeled, "HTML Box". 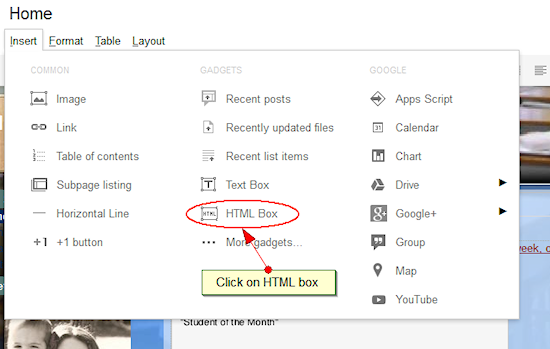 The HTML Box element can be placed anywhere that you would like it to appear on your site. This could be the sidebar, site footer or below the pages. 7)	After choosing a zone to place the HTML box, you should drag it there and click on Save from the lower left corner of the box. To access to your website stats, you can click on the AddFreeStats button displayed on your site or log in to your AddFreeStats account. You will able to monitor your traffic in real-time or change the settings of your account.